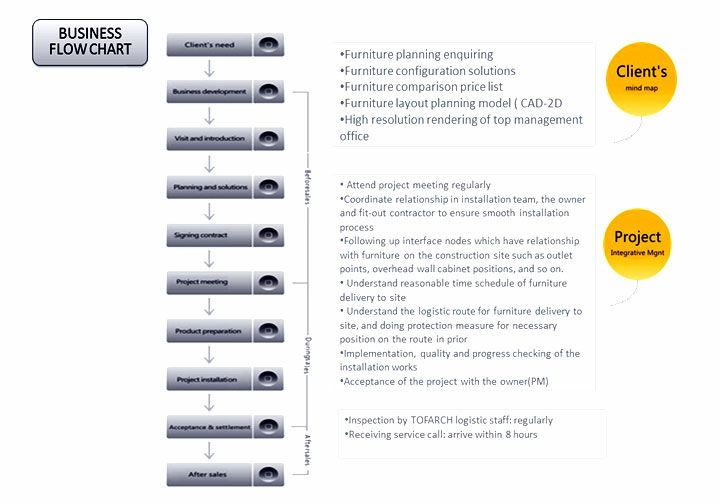 At TOFARCH we work together with the architects, designers, and key members of the organization to co-create workspace solutions that specifically meet the organization’s needs. Our Research and continuous interactions with the stake holders aims to observe and gather data, generate ideas and solutions, and quickly realize those solutions for actual testing and refinement. Understanding the needs of the customer -Together with the designers, we work in your current workplace and through observation, interviews and experience, extract insights and summarize key learning’s as the base for developing strong concepts with relevant solutions. Develop space and application ideas - After compiling our insights, we work with the designers to co-create spatial and application solutions. Realize and refine our solutions - We then collaborate with you and your designers to develop a physical or virtual way to represent these solutions, either physically by creating a mock-up, or virtually through 3D visualization. With these realizations, we can then test and refine them together, to provide the exact spaces and applications your people and organization need.